The following downloads and resources are available for free use. 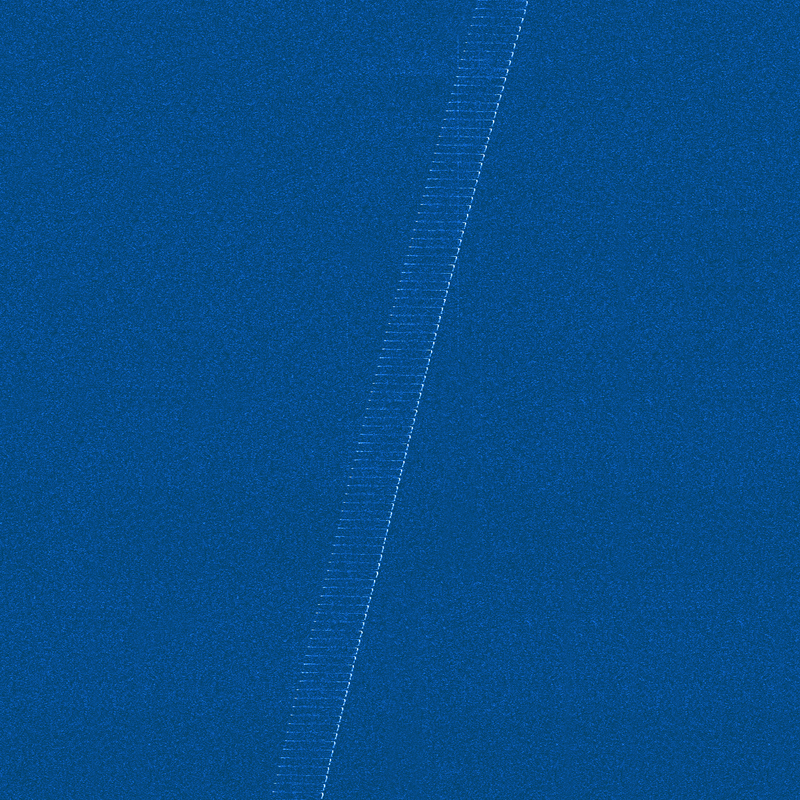 Spectrogram image excerpt from the signal of the LES-1 satellite, showing the gaps in transmission approximately every four seconds, and the ‘tilt’ in the signal caused by the doppler shift of the signal as the LES-1 crosses the sky. 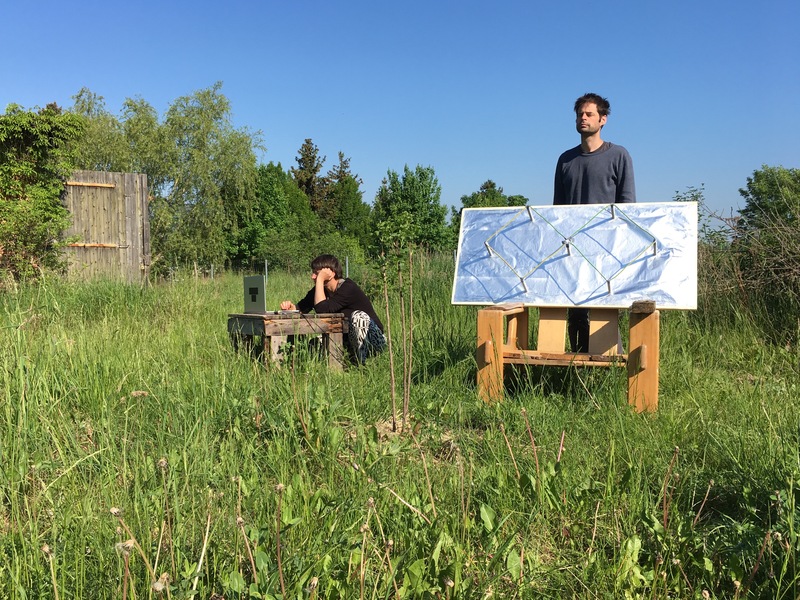 Kovács/O’Doherty, tracking satellite signals, Stolzenhagen, Germany, May 2017. Excerpt from the signal of the LES-1 satellite, derived from I/Q data recorded in September 2016, in Lunow-Stolzenhagen, Germany. Same as above, with on-screen monitoring data visible. Excerpts from audio used in the installation. The first track is based on the sacred harp hymn Fleeting Days, the second track is an excerpt from audio derived from the signal of the LES-1 satellite.